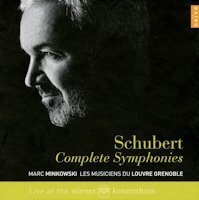 Marc Minkowski and his Musiciens du Louvre Grenoble have embarked on an ambitious Schubert symphonies cycle (available as 4CD set on Naïve V5299). As most period-performance specialists Minkowski gradually ventured from the Baroque into the Classical, and now the early-Romantic era. Earlier this year he recorded with his ensemble the eight symphonies in Vienna for CD release and currently tours different concert venues across Europe. In Brussels I caught a performance of the First and Ninth Symphonies, as part of the Flemish radio music festival (Klarafestival) which offered the full cycle spread over three different cities. 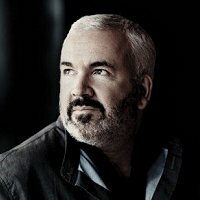 Categories: Concert reviews | Tags: BOZAR, Franz Schubert, Les Musiciens du Louvre Grenoble, Marc Haegeman, Marc Minkowski, Romantic, Schubert symphonies | Permalink.